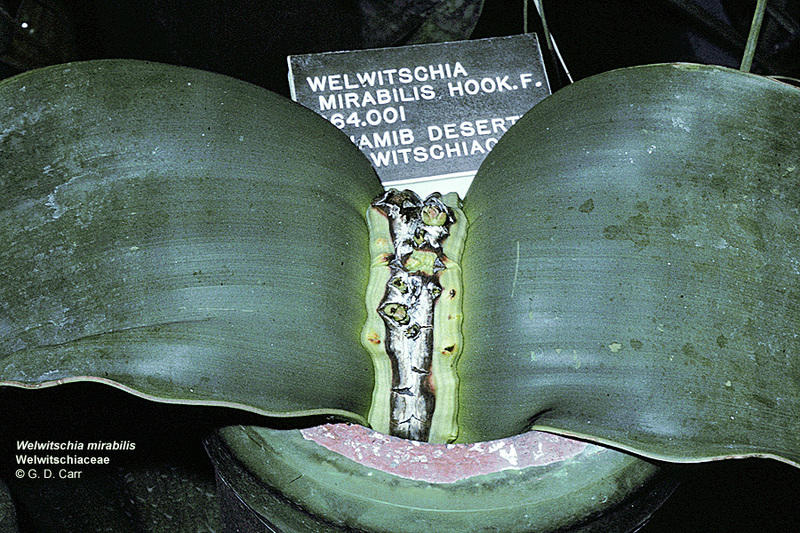 Welwitschia mirabilis, a bizarre plant from the desert of southwest Africa (Namibia) is said to have "lost its head." 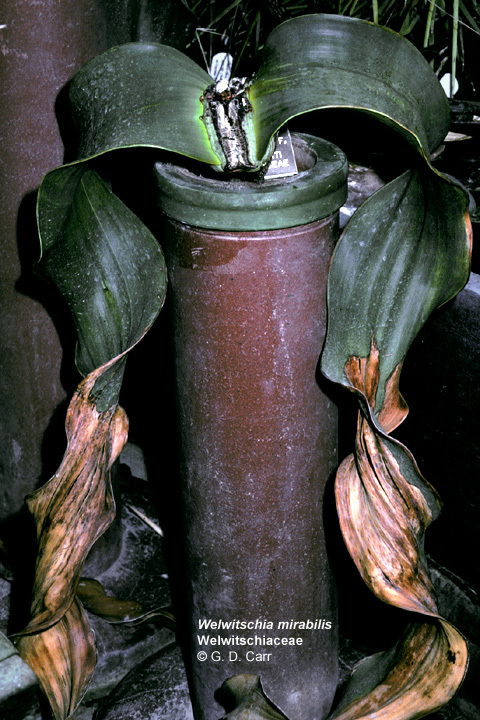 It produces only a single pair of persistent foliar appendages that continue to elongate from the basal area for the life of the plant, which may exceed 1500 years. The leaves, which may reach several meters in length, generally split lengthwise and eventually die back from the tips, a process that is hastened by sand storms in its native environment.